Mrs. Fowler is currently working on a doctorate degree in education. She earned a Masters Degree from The University of Miami. She brings many skills to the program from her experiences in various aspects of education including, teacher, grant coordinator, classroom management trainer, to name a few. She is innovative, with cutting edge knowledge and experience with youths, essential to the girl's program. Her experiences with grant also benefits the organization, which use fund-raising as a major part of the revenue and operational resource. Mrs.Fowler is known to be a humanitarian, which transcends into the field of human services. Miss Sandra McCarty has Masters Degree in Business with a specialization in Marketing, from the University of Syracuse in New York. She is currently CEO of SM Business Solutions, a Social Media Marketing company. Sandra brings a wealth of knowledge in Marketing, Public Relations, Management, Communication, and much more. Ms McCarty is committed and inspired to see Kaya Retreats vision in action. Her dedication to the program's mission and shared vision combined with skill sets at all levels of business operation have attributed tremendously to the organizations ground floor development. Rafaela Colon attended University of Massachusetts majoring in Psychology and a Minor in Education. In 1994 Ms Colon found her passion while working for a non profit Agency. She worked as a Coordinator for Madison Park Community Center summer program with one hundred and fifty children of all ages. She also worked as a Teacher's Assistance for grades 1-5 and 6-8 during the school years. She moved on where she worked as a Family Specialist serving as an informative source to the Trial Courts. 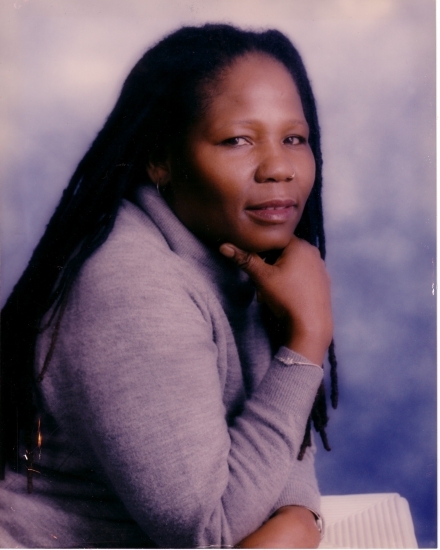 She Advocated on behalf of individuals committed to the Department of Social Services and the Department of Youth Services. 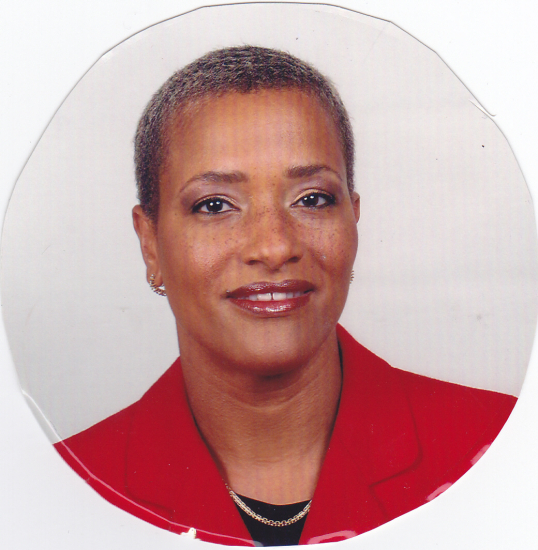 She Implemented clients Psychotherapy needs and created education plans for troubled youths. In 2001 Ms. Colon was hired by Goodwill, nonprofit agency and was promoted to a sister company Action For Boston Community Development to create and managed a Welfare to Work Program (Pathways to Success). Ms. Colon has e worked in the area of Non-Profit for twelve years and has enjoyed every moment of it. Mr. Starling has worked in the field of Information Systems for more than one decade, and is currently employed by Hewlett Packard as a network technician. He is certified in Microsoft and CISCO Systems and earned a graduate of BS in Communications from chapman University in California. Mr. Starling has been instrumental in the upkeep of the computer system in this organization. His enrollment to the vision is inspirational and serves a great service to keep the organization going. Stephen is a great asset to the well-being of this organization. Miss Davis has worked in the field of social services for more than one decade, and is currently working as Administrative Manager for an independent living facility. Miss Davis founded a nonprofit organization and enjoys working in Human Services. 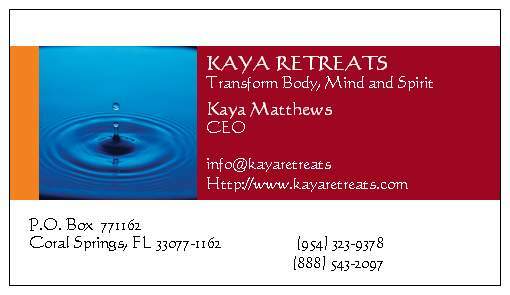 She is a natural in Public Relations, lending that factor to the development of Kaya Retreats, Inc. Her enrollment to the vision and mission of the organization is committed and inspiring and addictive. Linda is a great asset to the well-being of this organization.